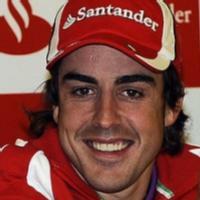 Fernando Alonso (f1 driver, world series driver and f3000 driver). He/she was born on 29 July 1981, his/her birthplace is Oviedo, he took part in 259 races in F1, his pole positions is 22 , his podiums is 97 , he won 32 races in F1, he has achieved 2 F1 championships. There is information in Classora Knowledge Base about 10 rankings, reports and surveys.